Chevy Impala SS Forum > Audio/Video/Security > Security/Alarms Systems > Viper/Python/Clifford remote replacement? Just wondering if there are newer replacements for the 479v/p/c FCC ID: EZSDEI478? The originals are discontinued. I know I can get used even new old stock on eBay but I'd rather see if there is a newer version remote I can use. If someone does not respond to this post google the FCC ID#. It may turn up something. The quick search I did turned up new viper remotes in the $150 range. Every time I go to a junkyard I ask for their key fob collection. Every once in a while I turn up what I want for less than $5. Some need new batteries, some are junk, and I use them as spare parts for others. Some companies use the same fob case with different circuit boards, so go by the FCC ID#. 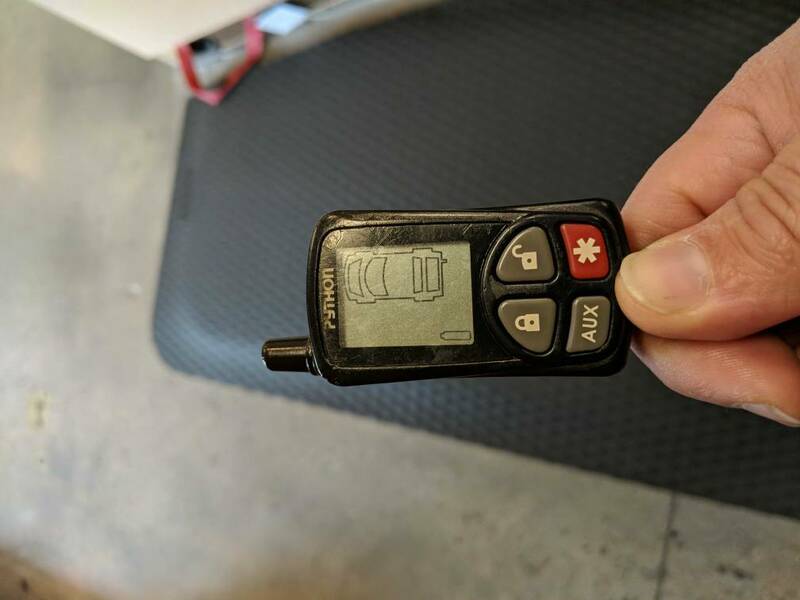 A replacement remote is not much use unless you know how to pair it to the main unit or know a shop that does not charge a fortune to do the work. Searching for information on the main unit may work or some times a friendly chat with a company will get you a photocopy of what you need to know. Most shops are only interested in selling new systems, remember the ones that try to help you with problems if you ever need a new system. Yeah I've seen some on eBay for $70 brand new. I have Googled the FCC ID# and it pulls up but confusing because some will say there is a replacement fob for the Viper but doesn't mention the Python. I have used a Viper fob before so I know it's the same.I have a Python. I'd figure I ask here to see if anyone else has switched fob's. My understanding of the FCC ID# is that if any changes are made to a transmitter the company has to go through the FCC approval process again. DEI used the same circuit board for three product lines to avoid extra costs. Several vendors listed all three alarms for that ID. Most vendors want their customers to shop by FCC ID#. You can find the same thing in most electronics. Totally different case/brand will be sold with the same electronics inside.